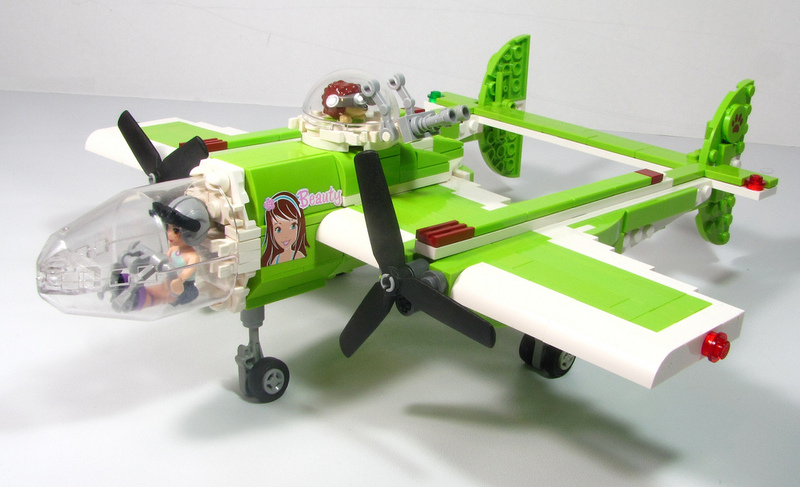 A Lego Friends MOC with humor and great design is Mia’s “Beauty.” This is a great 1930’s style airplane. With a very fun use of a Lego Friends sticker to create the pin-up girl art, that was so common during this era. “Beauty” is outfitted with a twin propeller (twin-prop) engine and a really cool glass canopy. 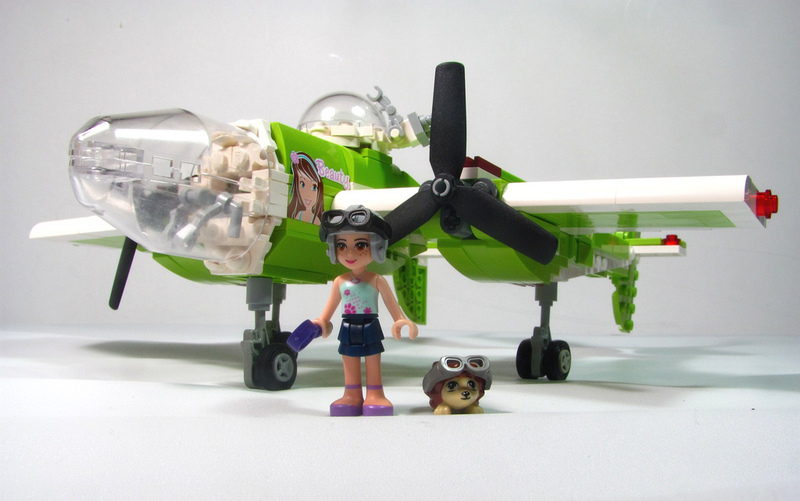 Mia is ready to fly the skies in her lime green long range scout. Mia’s copilot is her hedgehog “Oscar.” A dangerously cute gunner. 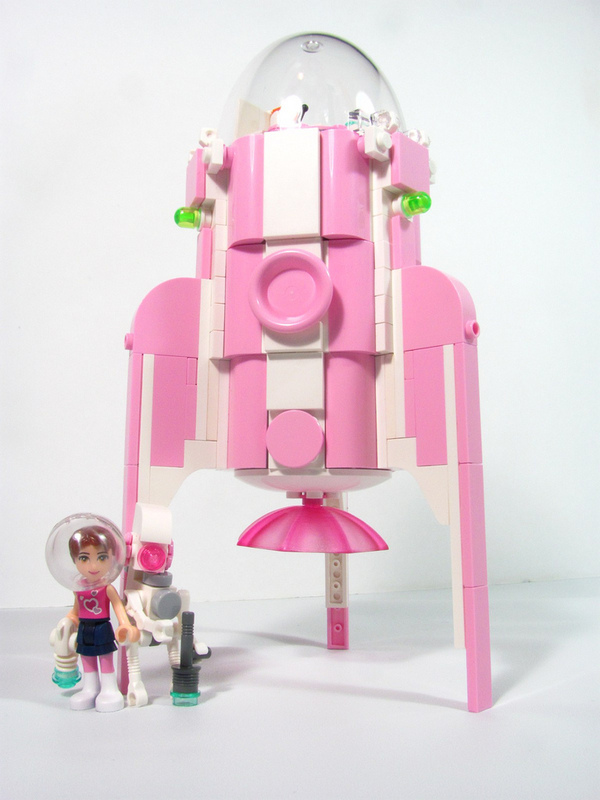 Mia’s “Beauty” is a great example of combining the Lego Friends theme with the other Lego themes. 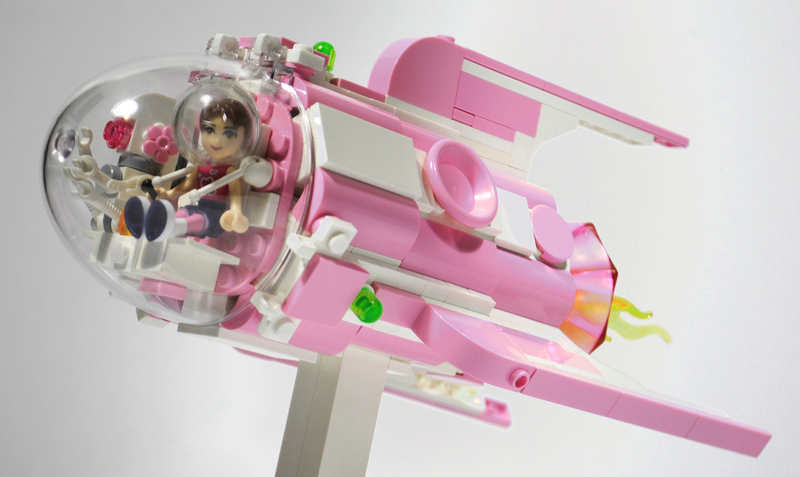 This, along with the Lovely Hotel is one of the most memorable Lego MOCs in the recent years.